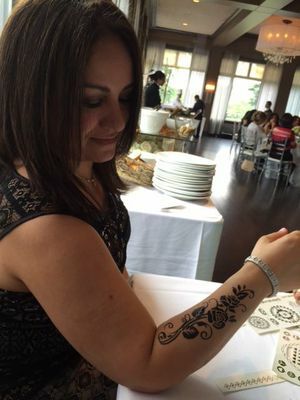 Artémix would love to bring the charm and timeless elegance of Henna Mehndi to your event. A sacred tradition in the Indian subcontinent for more than five thousand years, henna is one of the longest lasting body art techniques and certainly one of the most beautiful. Your guests can appreciate our beautiful and intricate designs for two to three weeks after your event. 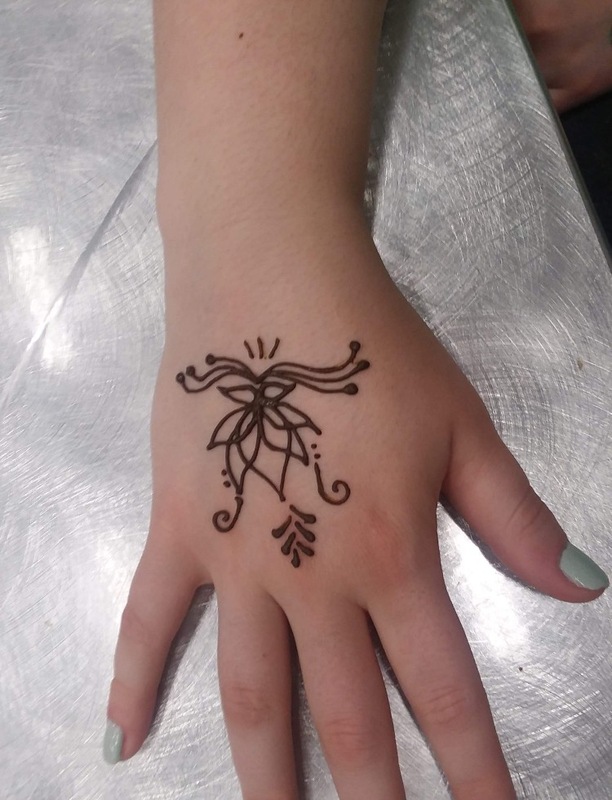 Henna tattoos are intended for guests 16 or older, as they last two to three weeks and canot be removed with rubbing alcohol or baby oil. Henna tattoo designs remain on the skin until they naturally fade. 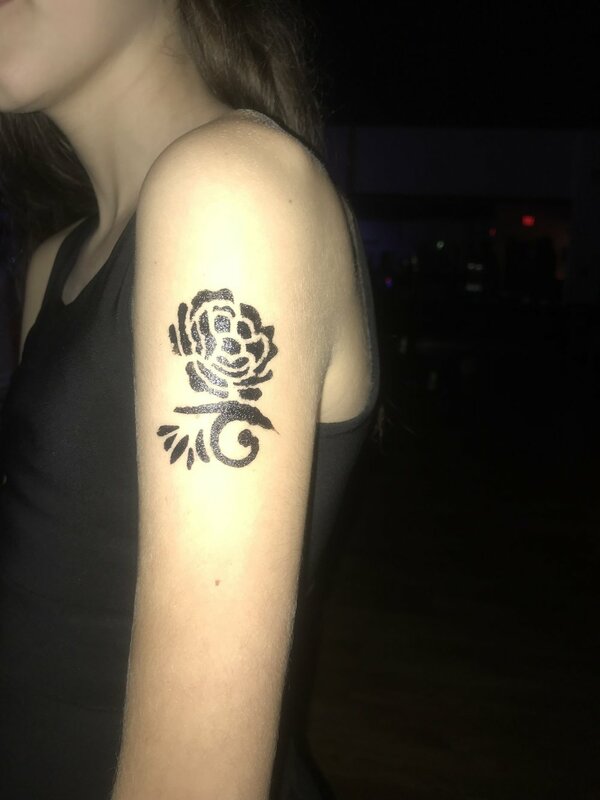 Temporary henna tattoos look ultra-realistic, but without the commitment of real henna! While the original henna lasts for several weeks and takes a while to dry, temporary henna is a mess free alternative that can easily be removed with rubbing alcohol and requires no drying time! 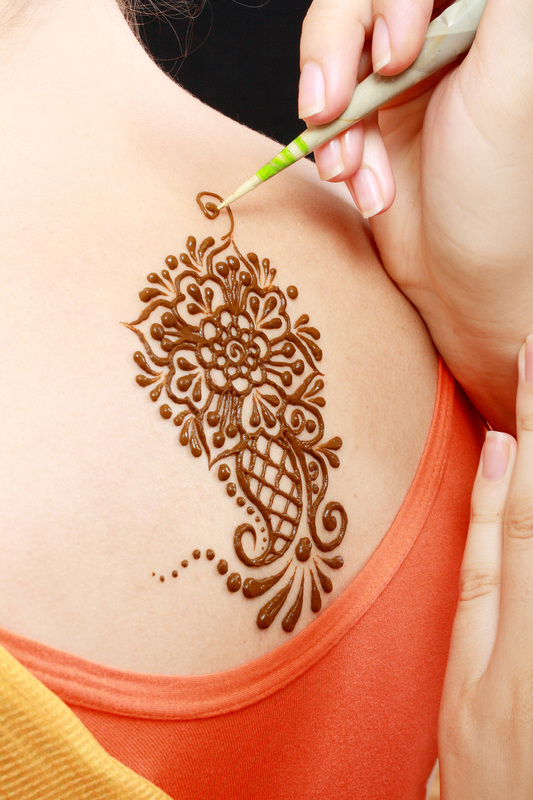 Children and adults of all ages can experience the beautiful look of Henna. 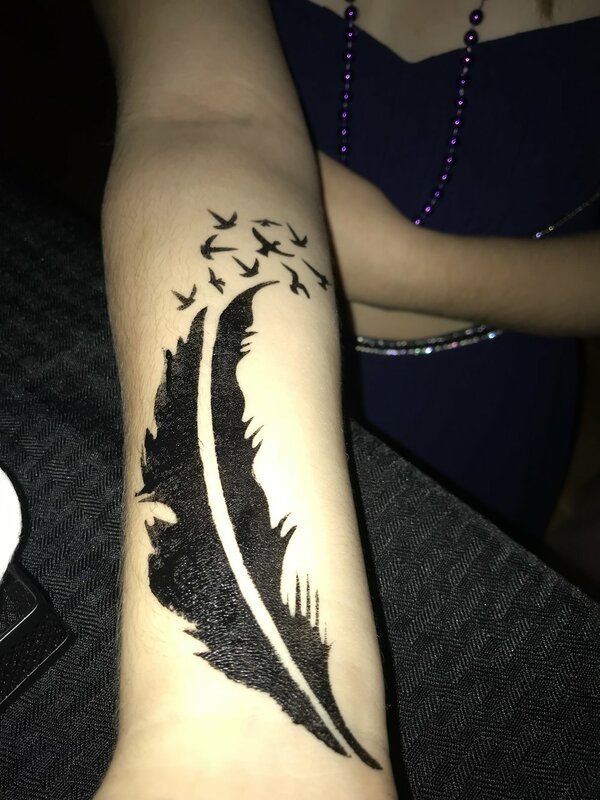 Temporary Henna is the ideal alternative for parties and events!